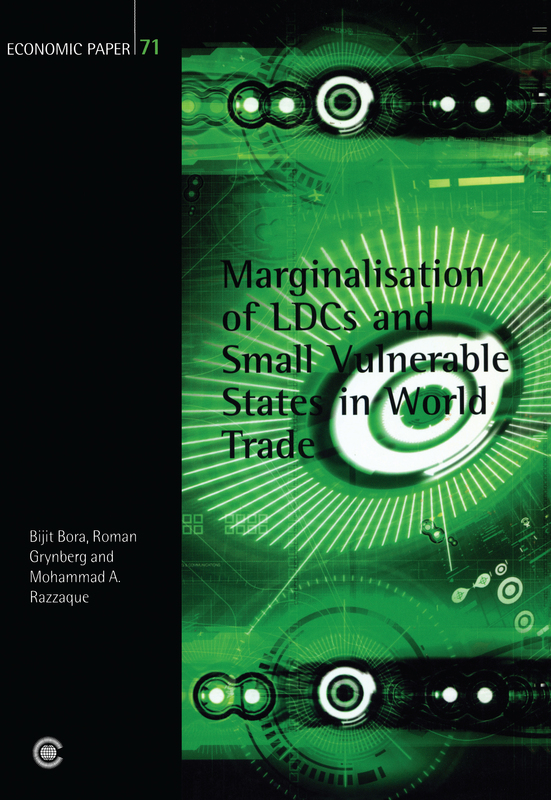 The present paper explains the theme of 'marginalisation' of Least-Developed Countries (LDCs) and Small Vulnerable Economies (SVEs) in the international trade arena, in terms of their declining relative importance in world trade. Statistical analysis is used to determine the long-term declining share of LDCs and SVEs in world merchandise exports. The study argues that the process of marginalisation of these countries is mostly the result of the failure of LDCs and SVS to diversify from their static comparative advantage related to the production of primary products, the significance of which in world trade has declined considerably during the past decades. The analysis emphasises the need for diversification of exports and an expansion of the manufacturing export base in these countries.